806 Mule Creek Drive Wentzville, MO. 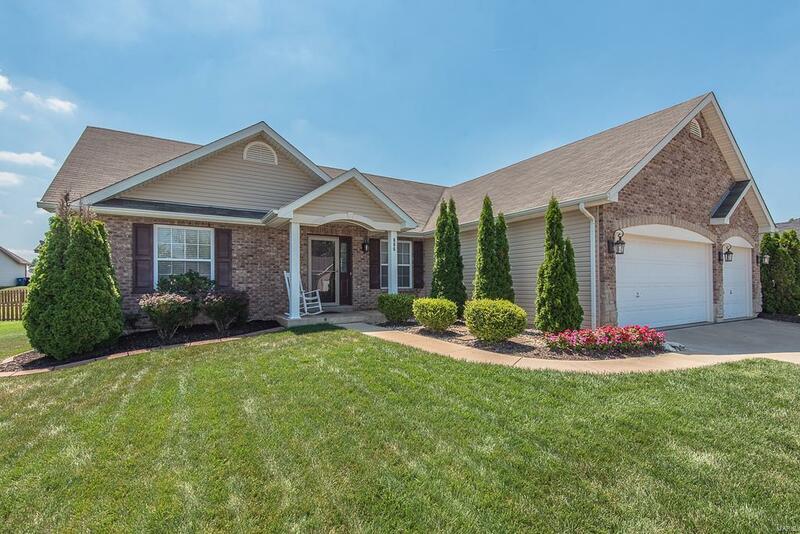 | MLS# 18054942 | Real Estate in Saint Charles and Saint Louis Areas, including Saint Charles, Saint Peters, Weldon Spring, O' Fallon, Wentzville, Dardenne Prairie, Creve Coeur, Chesterfield, Florissant, Hazelwood, Kirkwood, Des Peres, Saint Louis City, Homes for sale. Price Reduced, New Agent=New Price! HONEY STOP THE CAR... THIS IS THE ONE!!!! Move Right In... such a Gorgeous home! From the lush landscaping, to the pristine interior, entire house shows Pride of Ownership!! Instantly you'll notice the Open flr plan, gleaming high-end flooring, vaulted ceilings, wood burning fireplace... Take note of the tasteful GRANITE countertops in Kitchen, 42in. staggered cabinets, ceramic tile backsplash, nearly brand new stainless stl appliances, PLUS a breakfast bar & pantry!! Main Flr Laundry. MASTER SUITE W/ Coffered ceilings & LUXURY BATH includes; 2 separate vanities, MASSIVE walk-in closet, separate walk-in shower w/ shower seat & then a jacuzzi tub. Bay window in Master bedrm adds lots of natural light! Divided bedrm floor plan gives everyone their own space! Extra wide staircase to Large unfinished basement w/ rough-in bath & egress window... finish to suit your needs/wants!!! Perfect house, perfect price!